mont74 has no other items for sale. 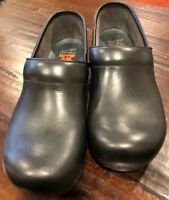 DANSKO XP Black Leather Professional Clogs Shoes Sz. 40 US 9.5-10 *Very nice!